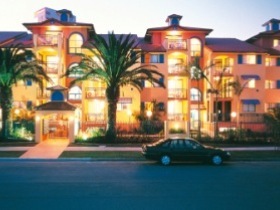 19th Avenue On The Beach's Palm Beach holiday accommodation is located on absolute beachfront at beautiful Palm Beach on the Gold Coast, you will cherish memories of lazy days in the sun soaking up the magnificent views of the sparkling blue Pacific Ocean from your fully self-contained holiday accommodation. Start relaxing from the moment you arrive. 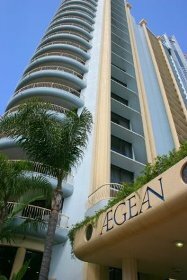 Aegean Resort Apartments provide holiday style and comfort right in the heart of glamorous Surfers Paradise and only 200 metres from its world famous surfing beach. 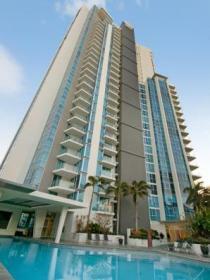 The luxury hi-rise has everything to make your holiday a passport to paradise. The Aegean abounds with leisure and recreational facilities designed to either keep you entertained and energised while on holiday or to give you the perfect opportunity to relax and rejuvenate under the warm Gold Coast sunshine. Alexander Holiday Apartments are located approximately one kilometre from the heart of Surfers Paradise, 150 metres from the beach and two kilometres from Jupiter's Casino and Pacific Fair Shopping Centre in Broadbeach. 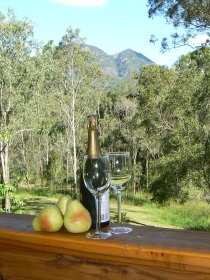 Among the gums is nestled at the base of Mount Greville at Moogerah in the Scenic Rim. 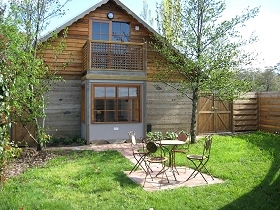 This three bedroom uniquely designed fully self-contained house is beautifully appointed throughout with sleeping for seven. 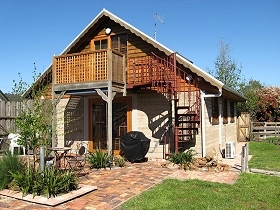 Among the Gums is set on a 34 acre property right next door to Mount Greville National Park. 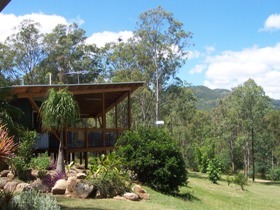 It is a secluded and private retreat with amazing views to The Great Divide and Mount Moon. Relax on the huge veranda where you can enjoy the views as wildlife passes by. For those cold nights you can enjoy the fireplace inside. 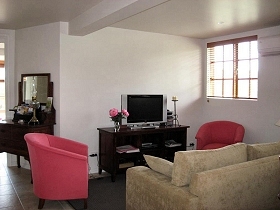 Whether you desire a romantic weekend away for a couple or just a great place to get together with a few friends, Among the Gums has all you require for a wonderful escape. 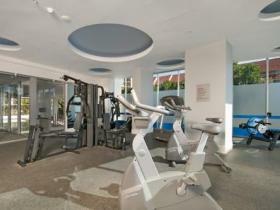 Breathe in, breathe out and replenish your spirit in the idyllic ambience of this architect-designed home, Ana Pana. 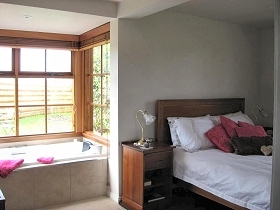 Awaken your senses with an invigorating sauna or relax on the verandahs with a good book. Cathedral ceilings, polished floors and a cosy fireplace complement the open-plan living area overlooking a misty rainforest gorge. 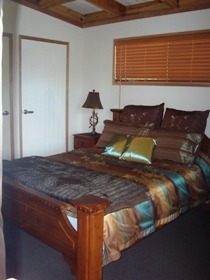 The bedroom on the lower level features its own separate living area and bathroom. 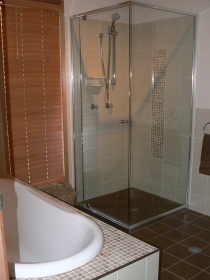 This is a secluded retreat with couples in mind. 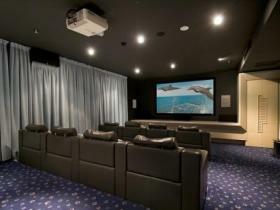 To view details of the features, a slideshow, a virtual tour and to book please visit the web site. Anacapri is conveniently located in Surfers Paradise, on the beautiful Gold Coast, with just a short stroll to the sun drenched beaches and all the excitement of restaurants, cafes, bars, nightclubs and world class shopping that the Cavill Mall and surrounding areas have to offer. Where else would you rather be? 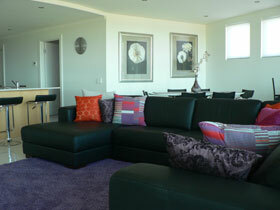 Artique Resort, offers stunning one and two bedroom apartments on the southern end of Surfers Paradise and just a moments stroll from the Gold Coast's finest beaches. A few steps away is the world famous Q1 Observation Deck and only minutes drive to Conrad Jupiter's Casino, The Gold Coast Convention Centre, or the finest shopping, dining and cafe's that both Broadbeach and Surfers Paradise are renowned for. 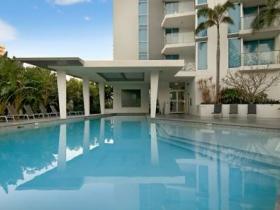 Aruba Beach Resort in Broadbeach is a perfect holiday destination. 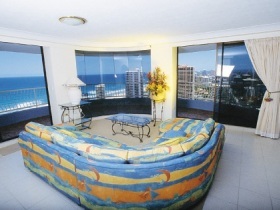 Only a short drive to central Surfers Paradise heading north and the Gold Coast Coolangatta Airport heading south, it is one of Queensland's favourite holiday destinations. The Broadbeach area has something to offer everyone with its unique village-like atmosphere, vibrant and sophisticated shopping, gorgeous beaches, restaurants, cafes, nightlife, children's activities and a relaxed ambience for those who just want to soak up the sun and take it easy. 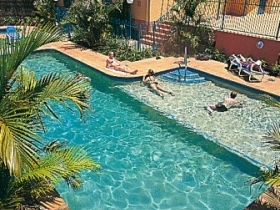 Aruba Sands is a four star resort in the heart of Broadbeach but located on a quiet side street.